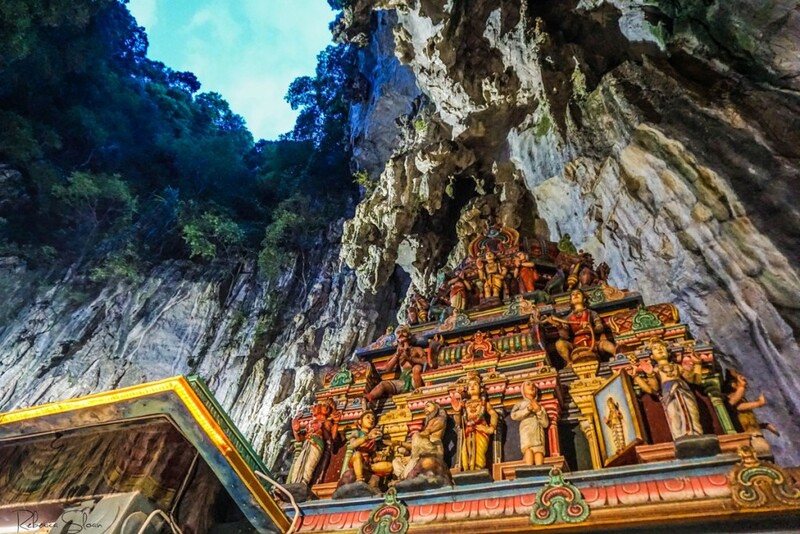 The Batu Caves is one of the best known Hindu shrines outside of India. The shrine is situated inside of limestone caves believed to be approximately 400 million years old. 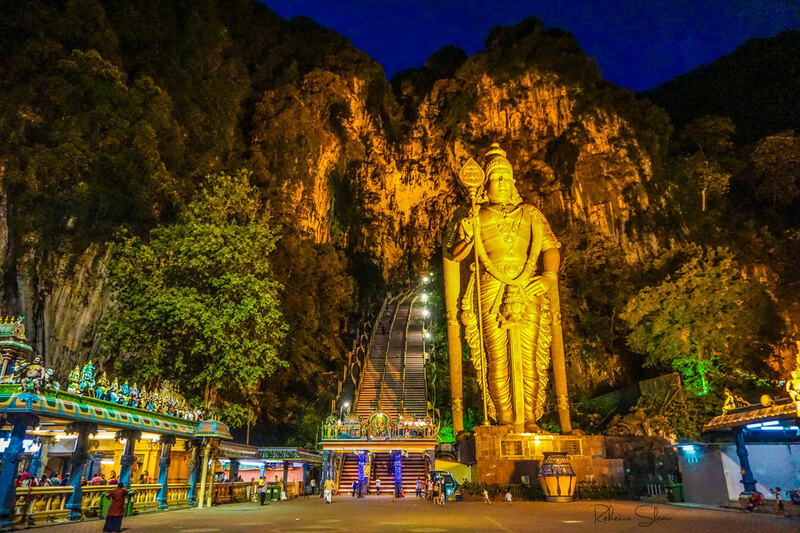 The entrance of the Batu Caves is impressive – check out the enormous golden sculpture of Lord Muruga, the Hindu god of war. 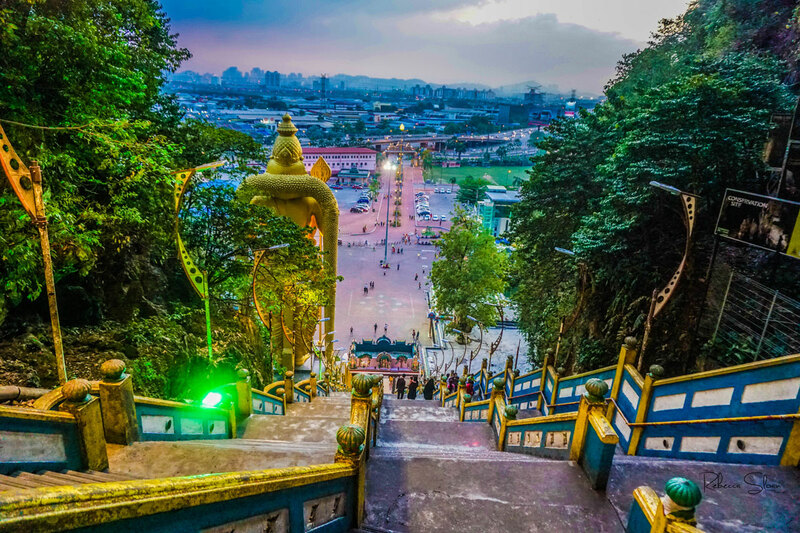 In order to enter the shrine, you must climb up approximately 272 steps. Needless to say, the shrine is not accessible for those with limited mobility. Hindus who visit the shrine for religious purposes can be spotted removing their shoes and climbing the stairs in their bare feet. 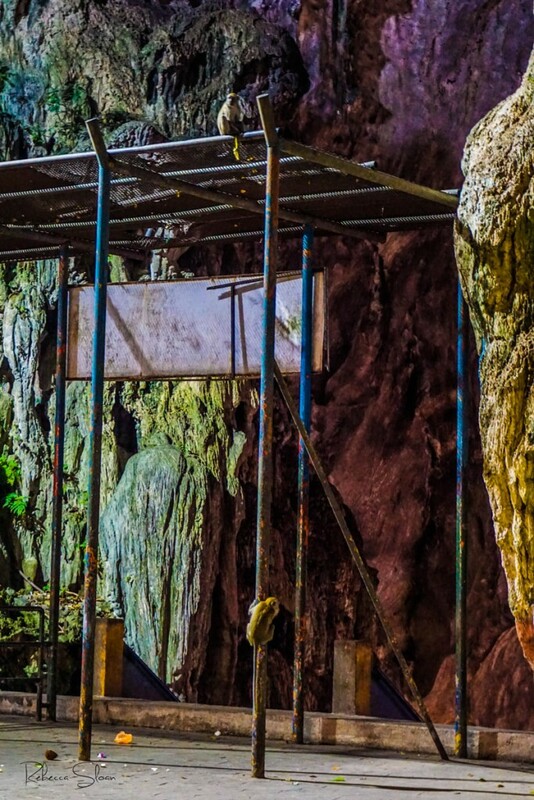 I shot this at the base of the caves – it was tough to get it all into shot as the statue is huge! 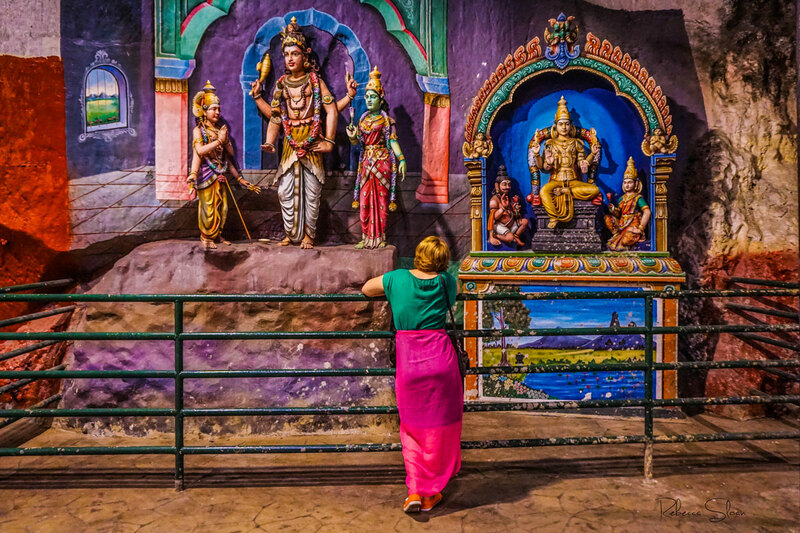 A woman admires a sculpture inside of the Batu Caves. A temple located inside of the Batu Caves. Two monkeys inside of the Batu Caves. Inside of the caves we spotted two little monkeys scavanging for food and looking for mischief. They were cute but we were careful not to get too close – they’re wild after all! A view across the city from the top of the Batu Caves. 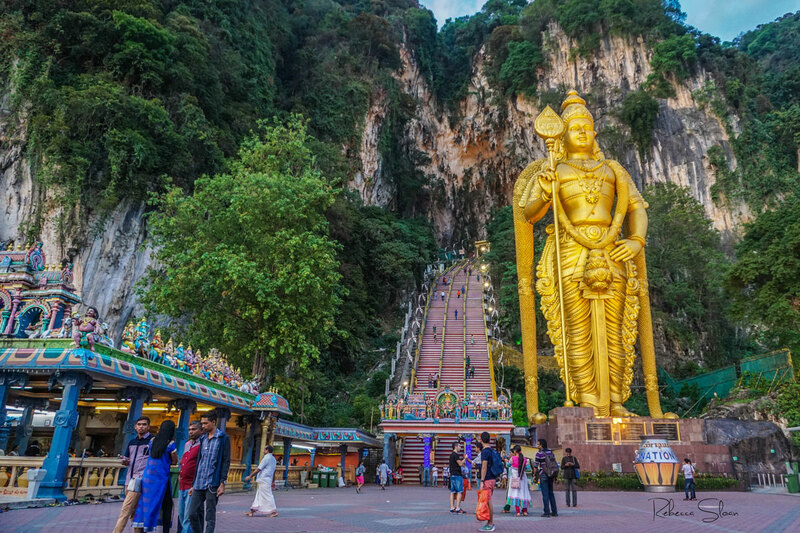 Although the Batu Caves are a great attraction in themselves, one should be sure to take a moment to also admire the spectacular view across the city of Kuala Lumpur. 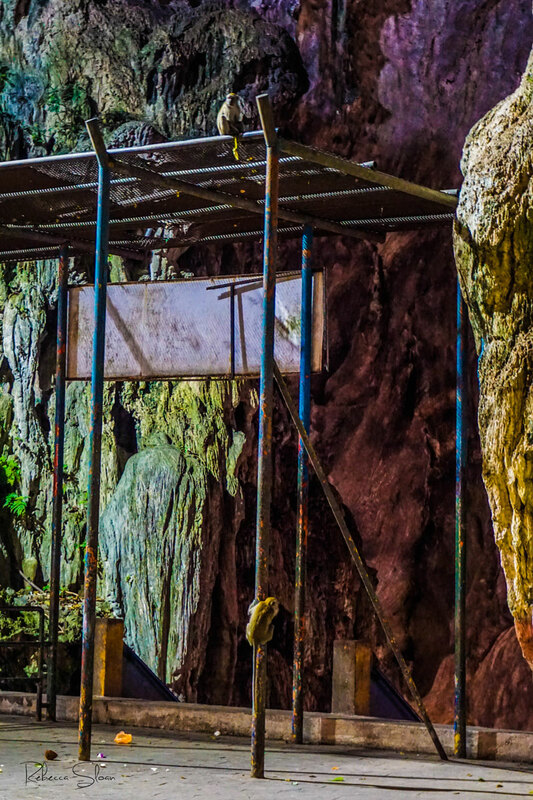 From the caves, the centre of the city is approximately 20 minutes drive away. 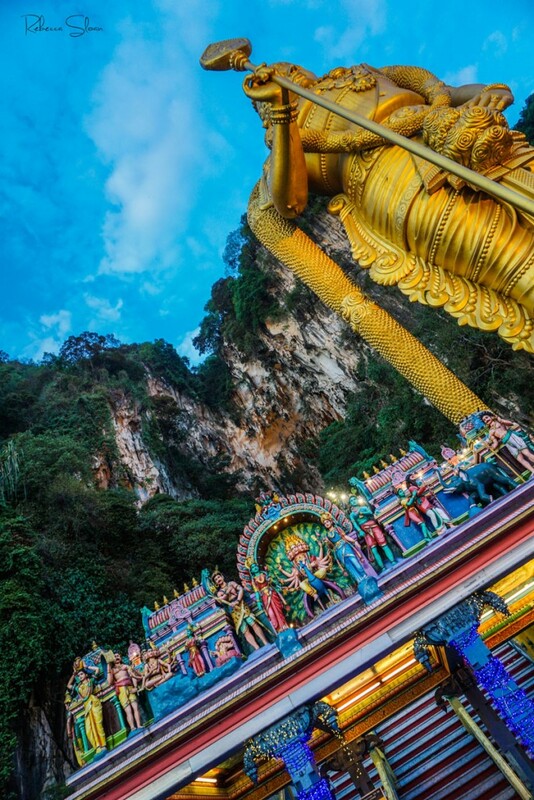 The Batu Caves after the sun sets. We journeyed to the caves about 20 minutes before sunset, which turned out to be an excellent time to visit the caves. There were relatively few visitors (especially compred to when religious festivals are held at the caves which can attract hundreds of thousands of visitors) which meant that we had a lot of space to explore and admire the caves and shrine. It also meant that we were able to easily view the caves during the day and after the sun set. I’d highly recommend you visit the caves at sunset to enjoy the difference in views! 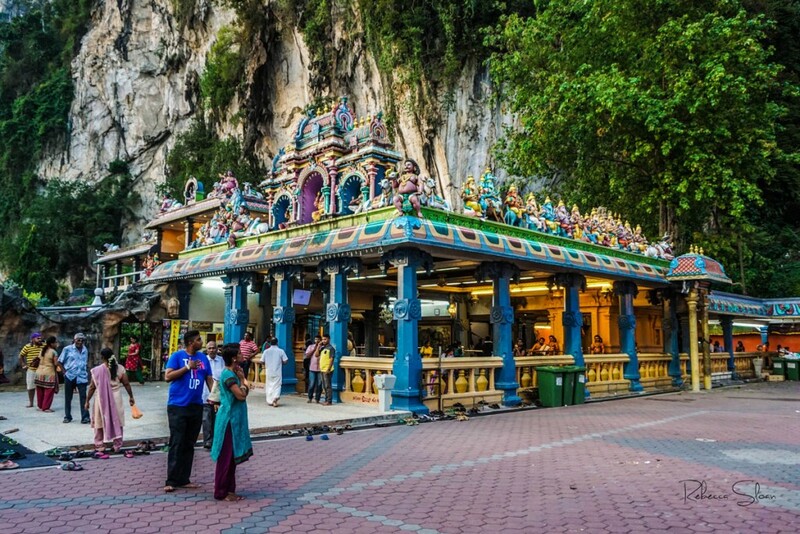 Entrance to Batu Caves is free. There is parking onsite and also a number of places to eat and shop.